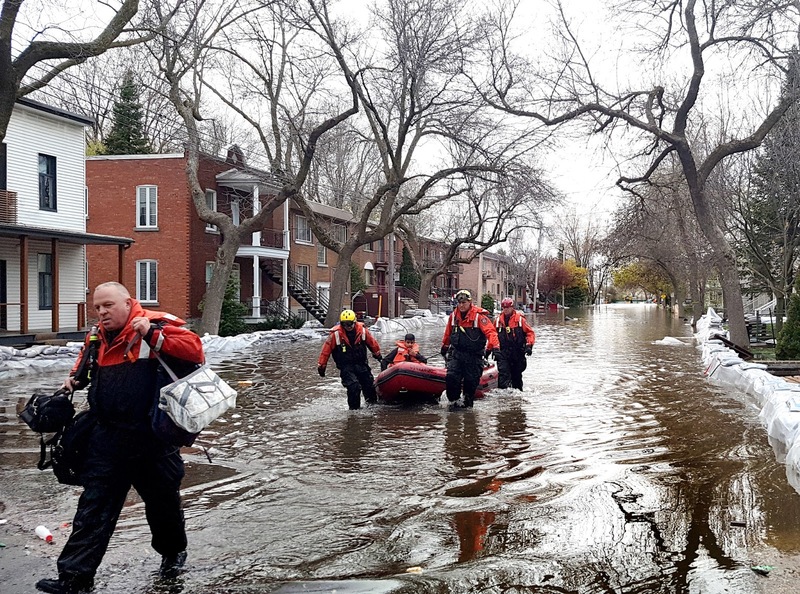 Tri Vo, a resident of Gatineau, Quebec, peered out at the flooded landscape from a back porch door, barricaded by sandbags and water pumps. Story here. The Montreal suburb of Cartierville. Photo by "Exile on Ontario St."